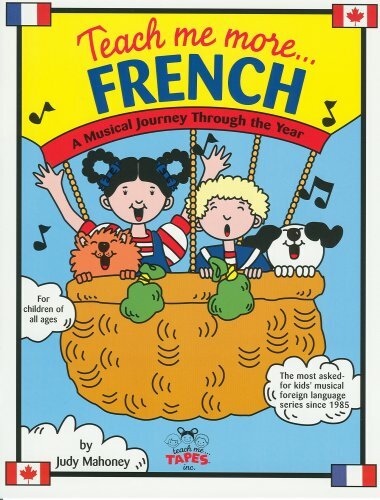 Teach Me More French (Paperback and Audio CD): A Musical Journey Through the Year by Brand: Teach Me Tapes at Spring Brook Audio. Hurry! Limited time offer. Offer valid only while supplies last. A Musical Journey Through the YearTravel through the yearvisit a beach & farm,enjoy a picnic & birthday party, exploremuseums & celebrate holidays. A Musical Journey Through the YearTravel through the yearvisit a beach & farm,enjoy a picnic & birthday party, exploremuseums & celebrate holidays. Songs include: Day-O, Going to the Zoo,Silent Night, Tingalayo and more! 45-minute audio and 20-page book. View More In Foreign Language Learning. If you have any questions about this product by Brand: Teach Me Tapes, contact us by completing and submitting the form below. If you are looking for a specif part number, please include it with your message.